You probably know that SEO is all about reading the metrics and making decisions. The same concept is true when building a social media platform for a business. However, there’s a lot more to your metrics than a follower count or how many shares your posts get, and it’s important to focus on the things that actually represent success, potential, and trouble. 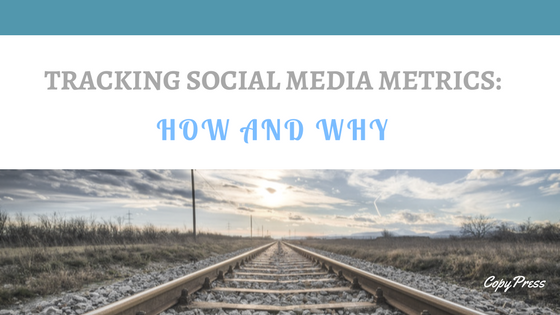 There are plenty of social media metrics a beginner will want to look at to fully grasp what everything means. Let’s say you’re past that point and want to simplify your time spent on social media by following a small handful of metrics. We’ll then get into specific things to track and how exactly to read the information they provide. We’ll also show you the crucial tip for analyzing these metrics that many companies never realize. In any case where you’re trying to get visitors on social media to click links that go to a page on your website, click-through rate (CTR) is fundamental. If you put up a post on your business social media profile that advertises a certain product and then links to it, click-through rate is what percentage of people who saw that post actually clicked the link and successfully reached your website. 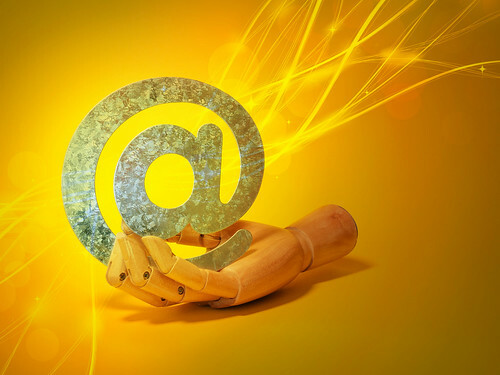 Any post with a high CTR is one that your viewers found appealing for one reason or another. The key is to experiment with other posts that confirm what exactly makes it so popular. If a pet food business used a cute picture of puppies and kittens on a post with the highest CTR, one good strategy is to make more posts that follow similar image choices, especially if it turns out to work across the board. This metric is mainly about what catches your audience’s attention, so always test and re-test the visual elements. In contrast to CTR, bounce rate is a smaller portion of people who successfully clicked through, but then left your page without completing your call to action, such as buying, signing up, etc. If someone viewed the page your social media link directed them to, but nowhere else, that’s a bounce. Maximizing CTR and minimizing bounce rate is the key to getting your best return on investment, especially if you’re literally investing with paid ads and boosted posts. Bounce rate can tell you what specific audiences are the best fit for your social media posting. If you have too high of a rate that cuts into your profits, try another audience spread, either different or more specific and exclusive. You also may want to improve your website to better intrigue and appeal to your visitors. Google Analytics holds bounce rate info on connected pages under the Acquisition tab, and then the Channels sub tab. The ads manager in Facebook’s advertising section will also clearly show CTR and bounce rate. One of the most important uses for social media is interacting with people, and mentions are a good way of finding out how many people are reacting to your brand, and in what contexts. Mentions are simply when someone refers back to your business account, in a way you can clearly track, such as using @ handles on Twitter. This is a metric that requires a separate social media monitoring tool in most cases (you can get by without one on Twitter), but the effort and expense is well worth it. Tags fulfill a similar purpose. If you’re using a particular hashtag to connect with your audience, you’ll want to check up and see how that tag is being used. You might realize that it’s not very active or has been hijacked by people who aren’t your audience, which means it’s time to switch gears. Tracking mentions and tags are helpful if you’re working on a social media-based SEO campaign. If you’re being mentioned by people you don’t want associated with your brand or your hashtags aren’t getting the right kind of attention, change your strategy to avoid ranking the wrong keywords. While there are plenty of other metrics you could use to judge your social media content, it’s not helpful to get too mired in the numbers. Instead, use the information you gather regarding CTR, bounce rate, mentions, and tag usage to form specific insights and ideas. You won’t get anywhere if you’re suddenly getting more mentions or a lower CTR and have no idea why. Try to piece together the clues and use what you discover to build a reliable profile of your audience. For example, let’s say your business does regular campaigns to fit with major holidays, but you find statistics lower for products and posts connected to these occasions. It could be that your audience is more counterculture than you realized, and naturally less interested in celebrating the same holiday as everyone else. Or perhaps your audience is too diverse to care about the common holidays celebrated in the western world. But without specific theories you can use to test new content, you’ll be a deer in the headlights every time a campaign flops. What social media comes down to is people, and you have to understand and connect with the people who are a match for your product. There is so much more to the idea of understanding your audience than making a list of demographic features, and the secret is all in reading your social media metrics. It’s critical to use the metrics above to form big picture hypotheses of your relationship to your customer base, and not to simply stare at numbers like CTR and think “why is it down this week?” Above all, actually be social and gain insights directly from your audience. Any business creating content for social media will want to know if their posts, images, timing, and other factors are all the best possible fit for their followers. Keep score with these metrics and use them not just to judge a particular post or campaign, but also to compare your current ideas against old ones and to form a deeper understanding of the people who buy from you. This approach is not only less stressful and more proactive, but quickly becomes fun. Free yourself from just staring at numbers and always look beyond to what they could really mean.